Remember when mornings were easy? Yeah, let's do that again. 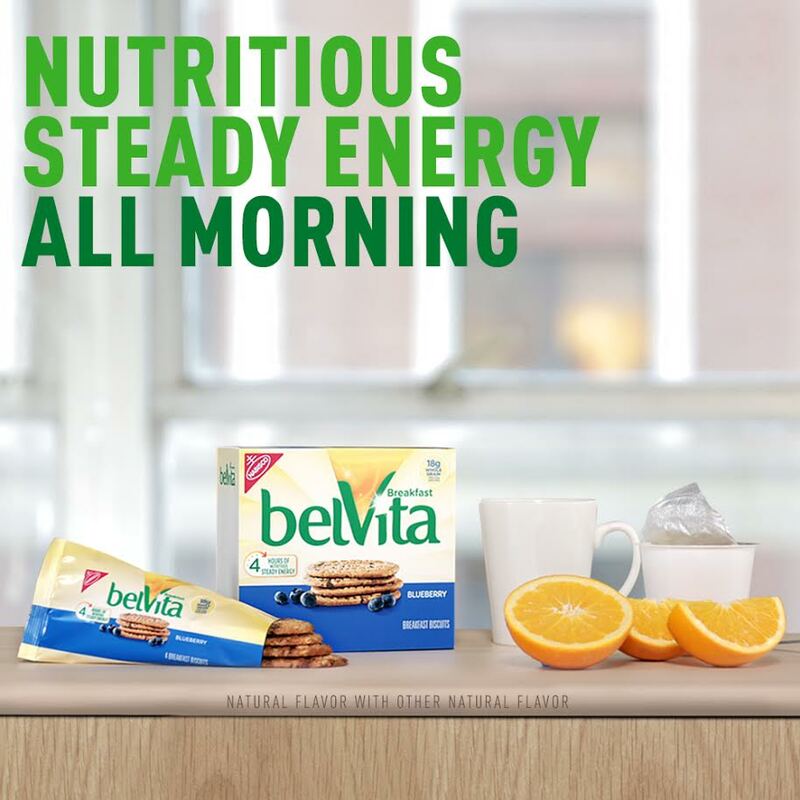 We partnered with belVita Breakfast Biscuits to say goodbye to rough starts and turn your morning struggles into morning wins. There's nothing like being a mom. I say that with all the pride, love, and exhaustion one could possibly imagine. And as I'm sure you're well aware, there are two different phases in a moms' life: before baby and after baby. Before baby, you could take 20 to 30 minutes to do your hair (just your hair), walk into work with a sick outfit on, be on point for your entire day, and score points with your boss. After baby? Well, let's just say you might be lucky to get to work without sweating. Profusely. Of course not all moms have this issue (#blessed), but this is the new reality for a lot of us. Bedtimes have their own set of issues, but it's mornings — oh, mornings! — that are the real beast. Mostly, because you can't have wine after you send the kids off to school like you do at bedtime, but also because there's a limited amount of time that ticks quickly away, adding more pressure to your routine. The good news is we can learn how to tame the morning beast if we keep our eyes open, so in an effort to help my fellow moms, here are five common morning monsters and five ways to fix them for good. 1. You don't have time for breakfast. This one is up top because it's one of the most important challenges you need to correct now. Walking out the door without having eaten anything at all sets you up for a whole host of issues later, like loss of focus, headaches, and being less than your best. 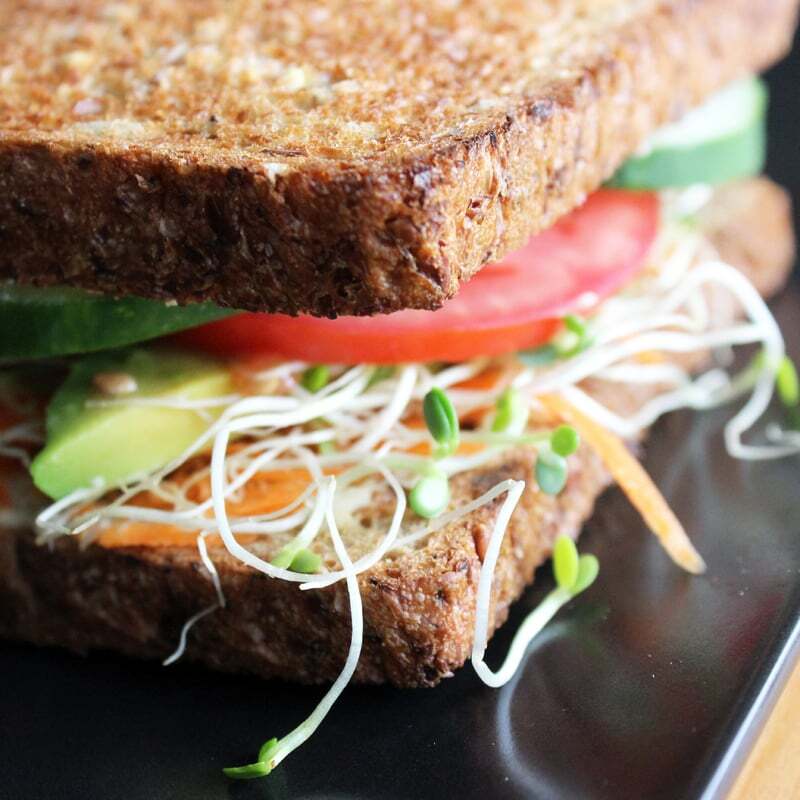 While you don't need to spread out an entire breakfast spread and sit properly your kitchen table (ain't nobody got time for that), you can save yourself some precious minutes by grabbing something to-go that's made with whole grains and fiber and provides nutritious steady energy all morning long, like a belVita breakfast biscuit, which will keep you chugging along for four hours. 2. You walk out the door looking like a bag lady. Tell me if this sounds like you: you're finally ready to go, and as you begin your trek to the front door, you pick up your purse, your gym bag, your lunch bag, your laptop bag, a bag with your "work" shoes (because let's be real — there's no way you're walking to the bus/train/boat in those heels), and your coffee mug, and before you know it, you look like a really sad christmas tree that's about to topple over from all of your "orniments." This isn't a good look for you, or your back. There are two solutions here (bonus!). One, get yourself a multipurpose bag that will hold your gym clothes, your work shoes, and your laptop bag. Yes, these unicorns exist. Two, leave a selection of shoes at the office so you can swap once you get there. No one is going to take your shoes, girlfriend. Lock them up in your filing cabinet if that makes you feel better, but the real warm and fuzzies will hit you when you realize you don't have to carry 50 million bags (estimated) to and from the office. 3. You feel like you forgot something. I get this feeling all the time. Keys, bag, kid . . . just kidding on that last one. But seriously, the only way you're going to know that you have all of your essentials on your person is to lay that stuff out the night before. Take 30 minutes for a mental checklist and organize your morning routine and create a to-do list for your day. I love going to bed knowing exactly what the next day will bring and what I'll need to be ready for it — this includes a change of clothes if there's a sweet happy hour happening or a touch-up makeup kit if I know I'm hitting the gym at lunch. As much as you try, you just can't get out of the house early enough to catch that one train that will get you to work before your boss. It never fails — you get up 20 minutes earlier, but between getting all of your stuff together, the kids finishing their homework (seriously, how many times did you ask them if they finished last night!? ), and your hubs running around looking for his keys (don't get me started), your extra 20 minutes laughs and waves as it passes you by. Time can be so snarky sometimes. Here's your solution: set your week off on the right foot by prepping as much as you can on Sunday night. I know, I know — this seems like THE WORST way to spend the last free moments of your weekend, but think of all the time you'll save during the week! And how impressed your boss will be that you're getting in so early (double win)! Make a huge batch of pasta salad, fire up the slow cooker, premake all your sandwiches, buy a set of Tupperware that you can stack to the rafters (of your fridge), and get the food issue out of the way. That's a solid 20 to 30 minutes back in your morning, right? That's a morning win all on its own. Ever wander into the office and just feel tired, grumpy, or flustered? Did you make it all the way to work and not remember how you got there? All the time, I'm sure. And here's why: you're not taking the time to center yourself before you start your day. We are busy people (can I get an "amen"?) and while there are kids to worry about, deadlines to meet, arguments to win, and goals to crush, you aren't going to be any good to anyone else if you aren't good to yourself. Take five to 10 minutes in the morning before anyone else gets up and sit. Or stretch. Or do a yoga sequence. Or you know, just sit. Think about where you are and what you want your day to be like. Will it be positive? Will your presentation go over swimmingly with your colleagues? Visualize how you want your day to play out, say "thanks" for the things you're grateful for, and identify the things you'd like to change. The still and quiet of the early morning will reinvigorate you, and you'll find that you have more clarity and focus than ever before.